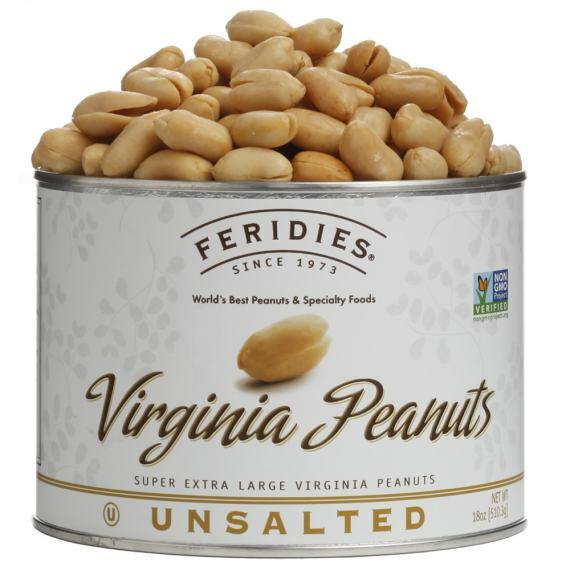 FERIDIES Unsalted Virginia Peanuts are very popular among our health conscious nut lovers. 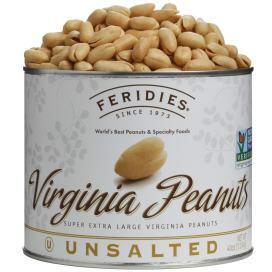 Without salt, you can taste the natural sweetness of these deliciously crunchy, super, extra-large Virginia Peanuts. Shelf-Life is approximately 1 year if kept in cool, dry temperatures. The dimension of the 18 oz. can is 5" x 3.5 ". OU Kosher Certified and Non-GMO Project Verified. 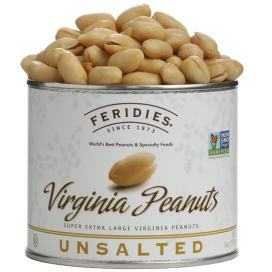 Save almost 9% with the 4 Pack versus single can purchases.